Hello everyone! 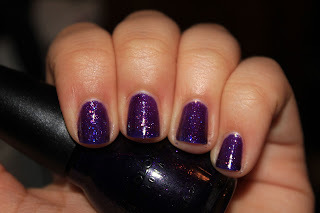 Hope your weeks are going well thus far:] Today I have a $2 layering mani for you that is so easy and pretty. 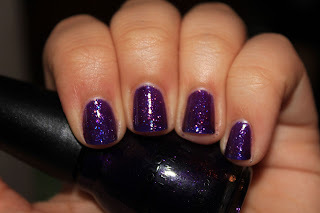 I just used Sinful Colors Hottie and Daddys Girl and I got this sparkly, deep, pretty purple mani, and I love it! I used 1 coat of Daddys Girl, 1 coat of Hottie, then 2 more coats of Daddy's Girl. Enjoy! The best part about this is that Sinful Colors polishes are so cheap!! 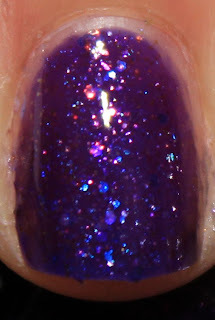 I love it:] You could do basically the same look with Sally Hansen Purple Pizzazz, if you have that. 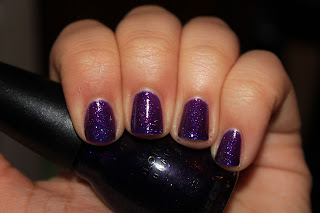 And Hottie is a dupe for OPI Last Friday Night! :] So you're set with any of those. Gorgeous!!! And it looks like you spent more than $2. Love it! sparkly is my favoriteeee:] thank you! The two look great together! Very beautiful. So pretty!! I have both of these, so I will be trying this combo! yay! definitely, I hope you like it! Very cool! 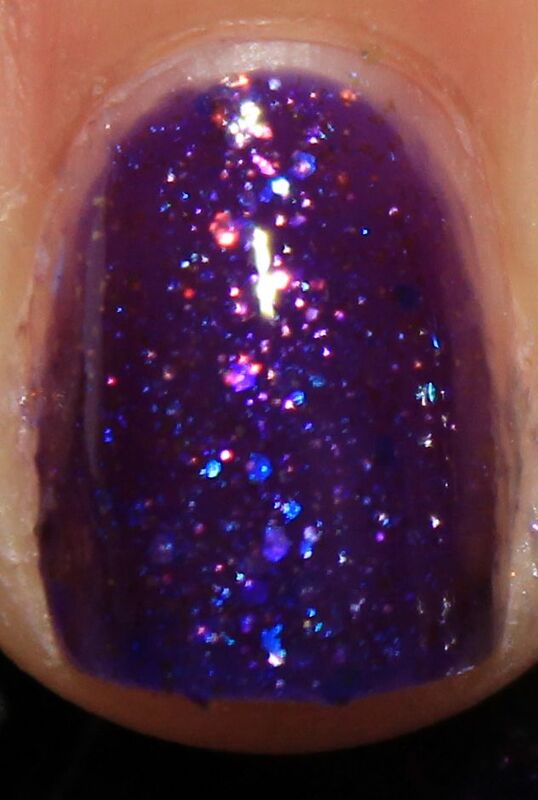 Do you know in Canada Sinful colors are $7.00 each?! I better make a trip the the States and stock up! Love this! Definitely can't go wrong with the price of Sinful Colors! I have both these polishes but I haven't tried Daddy's Girl yet. I would've never thought to put these together but they look really cool!